Hi loves! 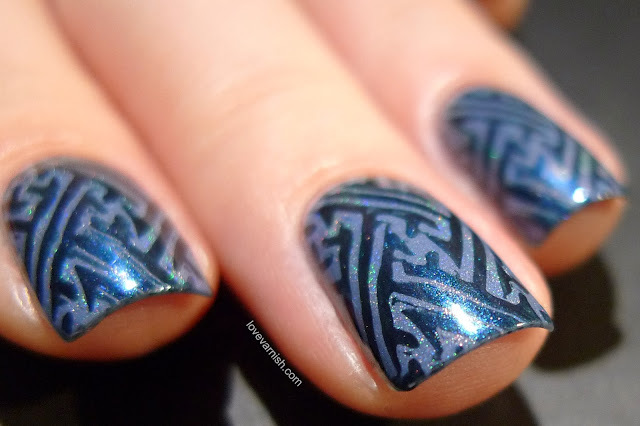 Wow, I really have been on a stamping kick lately haven't I? I just love my squishy stamper so much, it gives great results each time I used it :-). 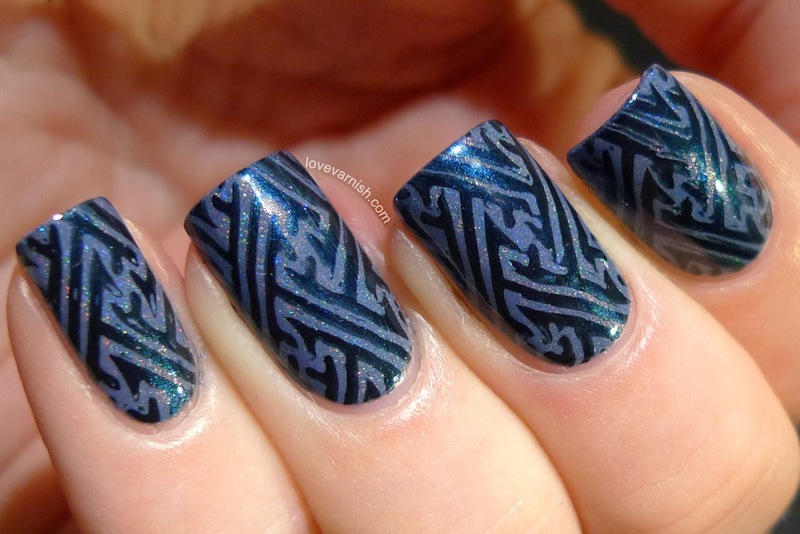 But, great stamper or not, I am still not sure whether or not I liked this manicure. I started with a base of Too Fancy Lacquer Moody Blue painted in 2 easy creamy coats. It's the third time this shade was put on my fingertips and it hasn't bored me at all. I really like it! After it dried, I used MoYou London Suki 05 and China Glaze Little Drummer Boy for stamping. I think because this stamping design has quite big lines and the images are etched really deep, I didn't get a clean scrape as usual. Scraping twice did help (but I only found out after a few nails) but I still noticed some "smearing" - not sure how to describe it LOL! 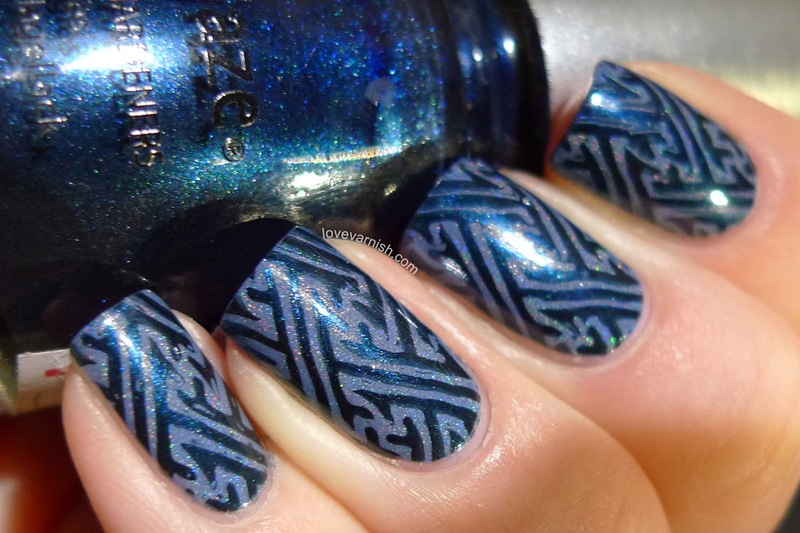 I did like the contrast between the grey blue shade underneath the sparkly dark blue stamp, especially in these pictures! And not all manicures can be absolute favorites, right ;-)? Thank you Sabine! And can't wait to see what you create with it! Oh, I love it though!! And I love Little Drummer Boy, will need to pull that one out soon and wear it again! Good to know that Little Drummer Boy works for stamping! Thanks Angie! And I never have worn it by itself yet, maybe I should soon :). Yeah it's maybe just a design I need to get used too - thanks for your comment! It's a great one for that! Actually why I bought it ;-).